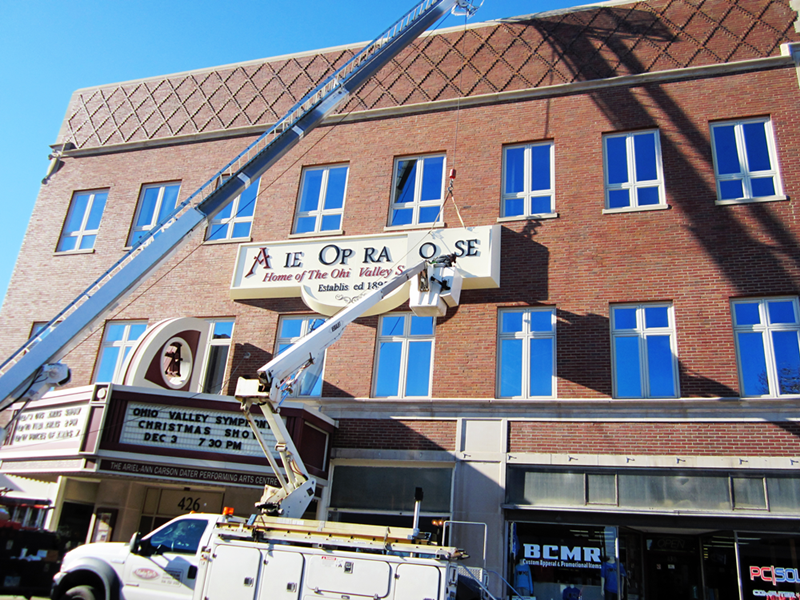 The Ariel-Ann Carson Dater Performing Arts Centre installed a new sign on November 21 to take it a step closer to its original opulence. 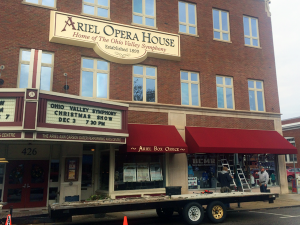 According to the Ariel’s Executive Director Lora Lynn Snow, the new sign pays homage to the theatre’s origination as the Ariel Opera House and reflects the coexistence of The Ohio Valley Symphony, the Ariel’s resident professional orchestra. 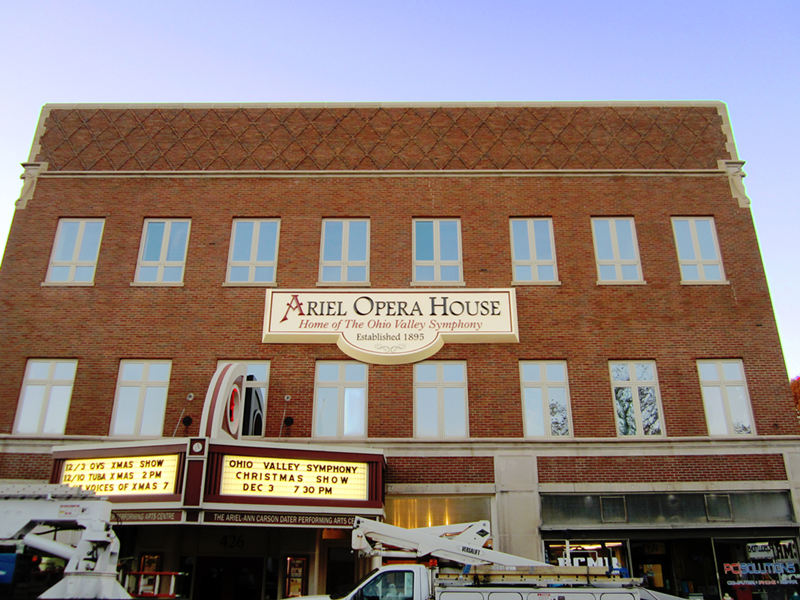 At the time the Ariel Opera House was built in 1895 by the International Order of Odd Fellows, America’s theatre builders liked to evoke both high culture and fantasy when they named their new creations. The character Ariel \’ar-ē-Əl, ‘er-\ n, has a variety of incarnations – a mystical sprite of both water and air, portrayed as either male or female and even showing up as a character in Shakespeare’s The Tempest. 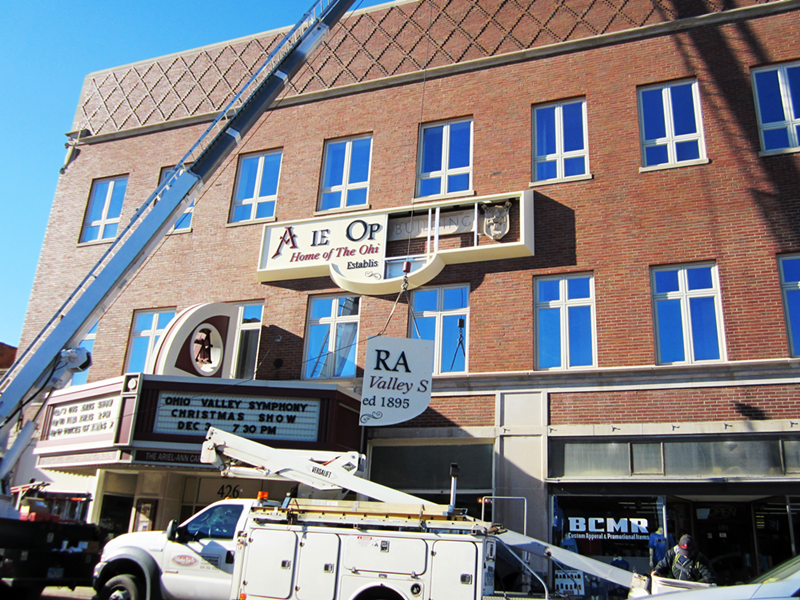 It’s also Hebrew for “lion of god.” The new signage evokes an earlier time incorporating flowing design elements from the past. 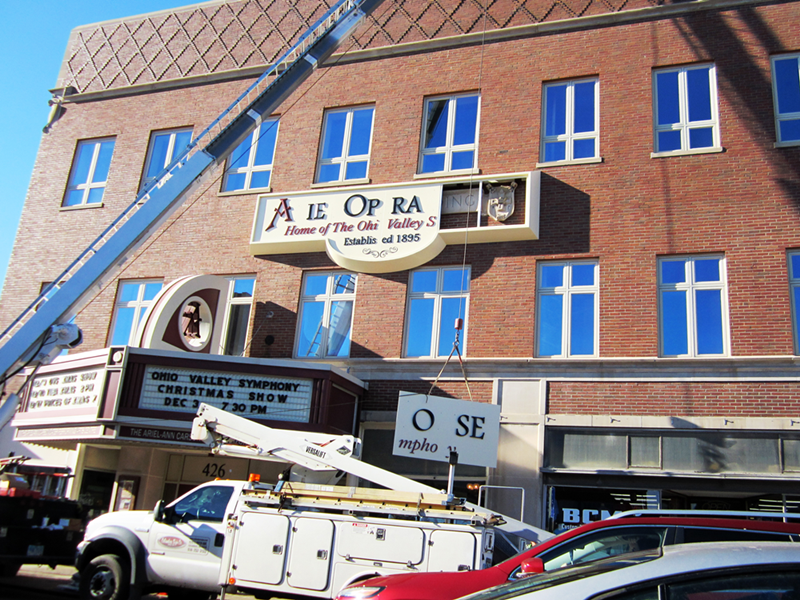 The new signage was designed by Kate Jacobs-Coldren and was built and installed by Columbus Sign Company, who also manufactured and installed the Ariel’s marquee in 2005. 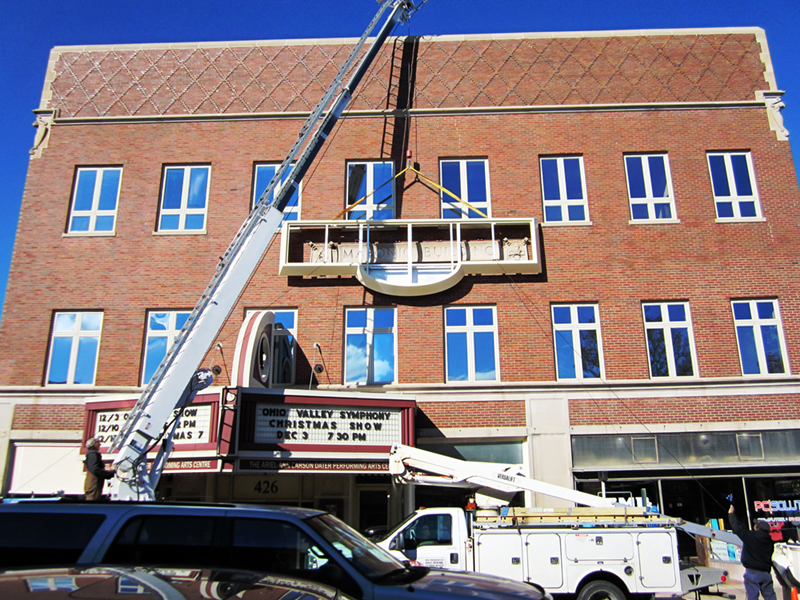 Workers from Columbus Awning Company completing installation of the new awnings. 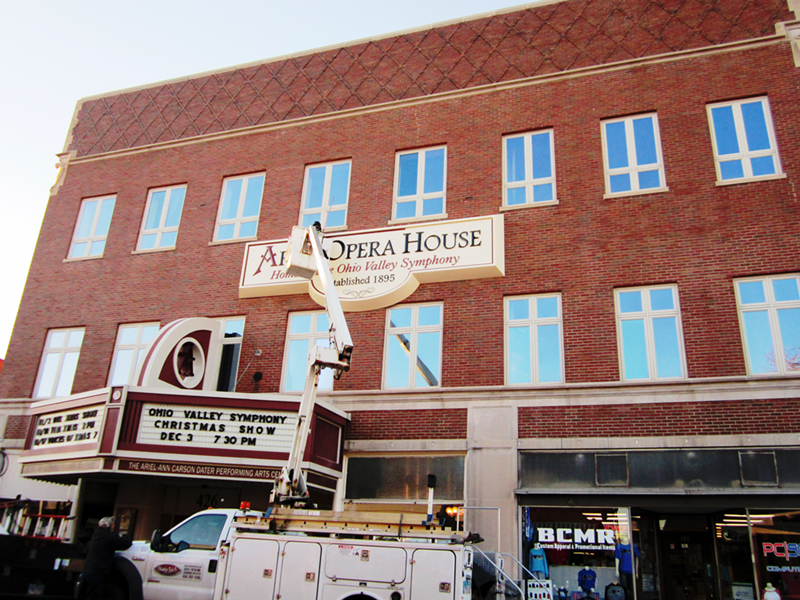 Also on the list of façade updates were the installation of new burgundy awnings which were manufactured and installed by Columbus Awning Company. 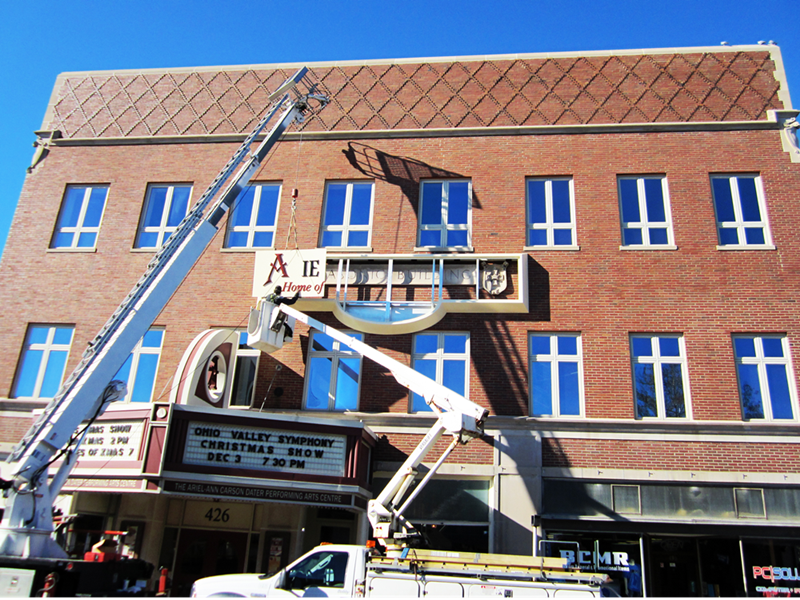 The new awnings compliment the colors of the new sign as well as the existing theatre marquee. 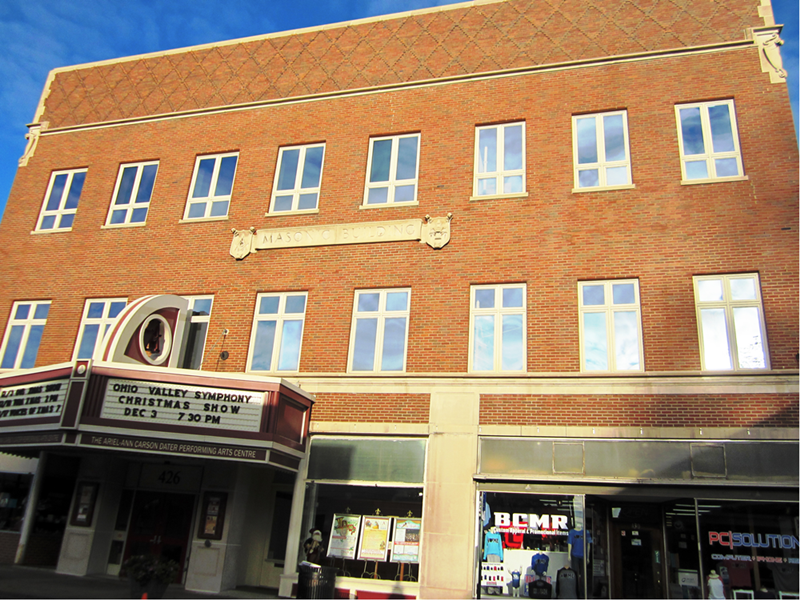 “Ariel Box Office” was added to help identify our recently restored ticketing and office spaces.